A pre-vented soffit incorporating air slots that provide ventilation to equivalent to a 10mm clear air gap, which conforms to current UK building regulations for new pitched roofs of 30 degree pitch and above. Soffit boards are used to close the gap at the underside of the rafters between the back edge of the fascia board and the external brickwork. For flat or low pitched roofs a double vented board is required for new build projects. Please contact us if your require further details and prices of double vented boards (please note we are currently experiencing production problems for double vented soffits and therefore the ETA for special orders will be longer than usual). 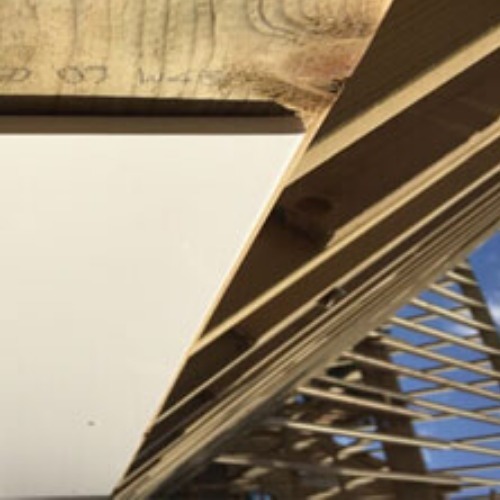 Soffit boards should be fixed using 2 x 40mm Polytop pins spaced no further than 600mm apart (400mm for woodgrain boards). The range is available in white, rosewood, golden oak and black ash. For further information on the installation of fascia and soffit boards please visit our Guides & Tips section. 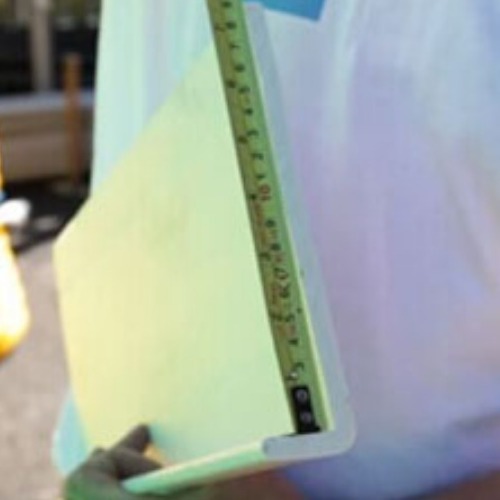 Our Soffit Boards are manufactured by FloPlast and are Class 1 Fire rated and guaranteed for 10 years. Cover Boards Or Replacement Fascia? How Do I Measure My Fascias And Cover Boards? What Is A Fascia Board?